Chaiyanara, D., G. Heritage. The Beast Beneath the Lion City: Race, Class and Musicianship in the Singapore Metal Underground [forthcoming]. Heritage, G. Review of Gender Inequality in Metal Music Production [forthcoming]. Heritage, G. (2018) ‘Torment[her] (misogyny as an artistic device): Alternative perspectives on the misogynist aesthetic of W.A.S.P.’s “The Rack”’, in S. Holland and K. Spracklen (eds.) Subcultures, Bodies and Spaces: Essays on Alternativity and Maginalization, Bingley: Emerald Publishing. Heritage, G. (2016) ‘Accept(ing) the other (Metallic[a]) hypermasculine image: Case studies towards an alternative understanding of hypermasculinity in the aesthetics of 1980s heavy metal’. The Journal of Metal Music Studies, 2:1, pp. 57-68. Heritage, G. (2016) ‘“It’s like a Mach piece, really”: Critiquing the neo-classical aesthetic of ‘80s heavy metal music’, in A.R Brown, Spracklen. K, K. Kahn-Harris, Scott. N.W.R. 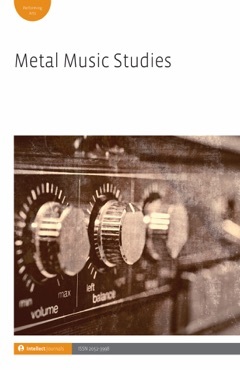 (eds) Global metal music and culture: Current directions in metal studies, New York. Routledge.